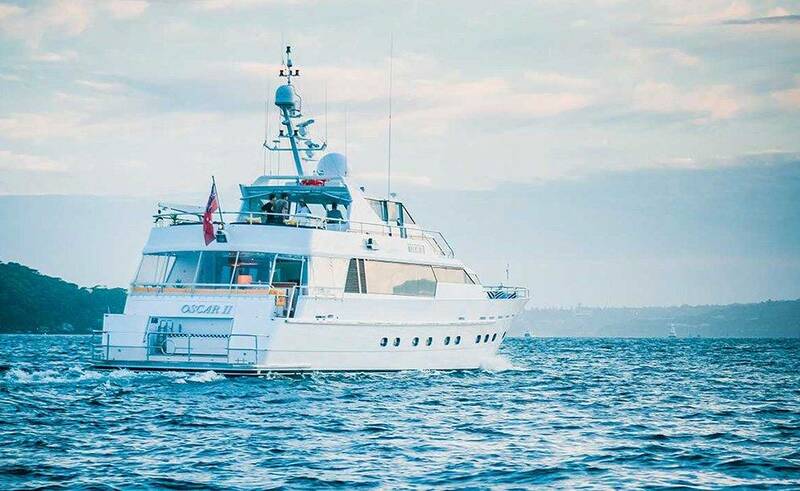 So, enjoy a fabulous and unforgettable cruise on board the opulent Oscar II, a spectacular 105ft luxury motor yacht built by Dave Warren, one of the country’s most respected boat builders. 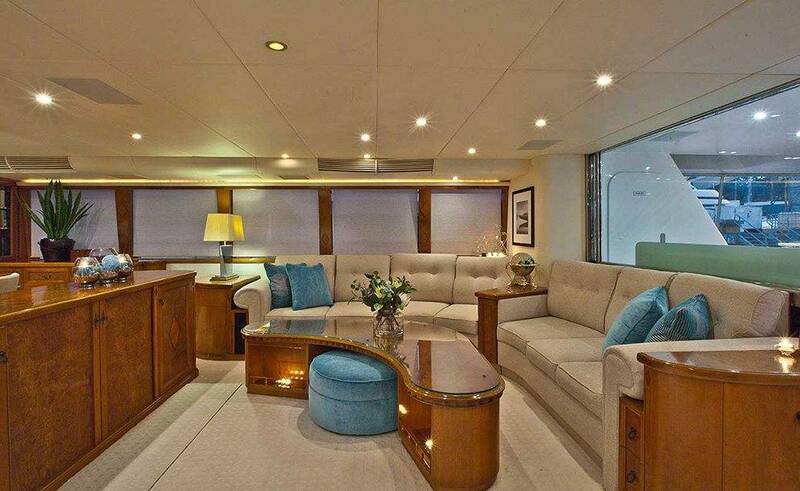 So, her extensive decking areas are so grand you could be on an ocean-going liner. 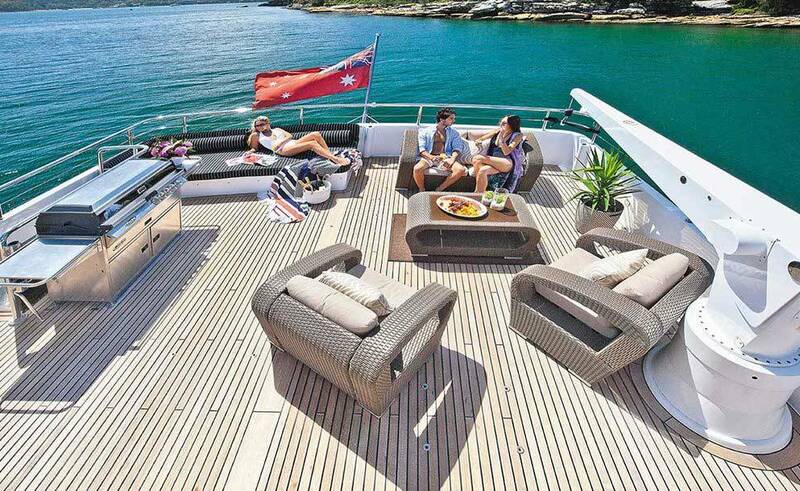 Lie back on a lounger and relax on the amazing upper deck flybridge, which has an awning for very hot days to ensure everyone is comfortable. There are fridges on this level so you won’t have to go too far to get a drink. Also, visit the spa on the foredeck for a pampering wallow in the Jacuzzi during a longer trip. So, for parties where there are more people, this can be covered up and used as a comfortable daybed for lounging on. The spacious covered aft deck with fully licensed bar is perfect for relaxing with a drink while taking in the views of the world famous harbour. Oscar 2 accommodates 64 passengers for a cocktail party, 30 for a casual buffet, and 8 for table dining. 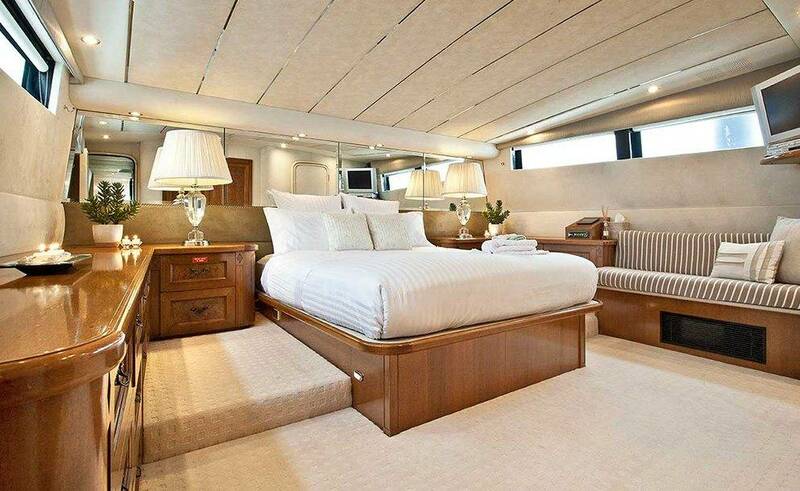 So, fully air-conditioned, the main interior saloon and dining area have been designed to the highest standard. Impossibly stylish and comfortable, it is a real pleasure to relax and catch up with friends in this gorgeous space. With numerous delicious premium food and beverage catering packages available which will have your mouth watering. A top of the range multi-zoned surround sound system with iPod connectivity provides the music. While LCD TVs provide further entertainment options. 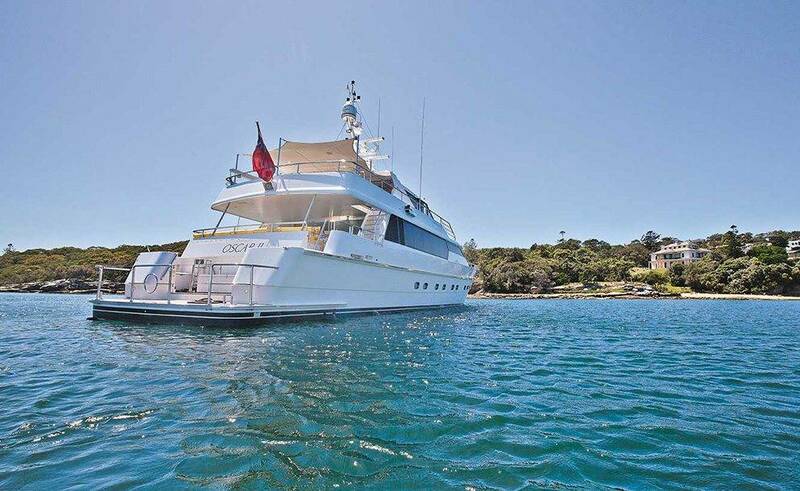 Oscar II sleeps 8 very lucky people for an overnight or holiday charter. The cabins are as comfortable as they are luxurious, with beautiful appointments and each with an ensuite bathroom. 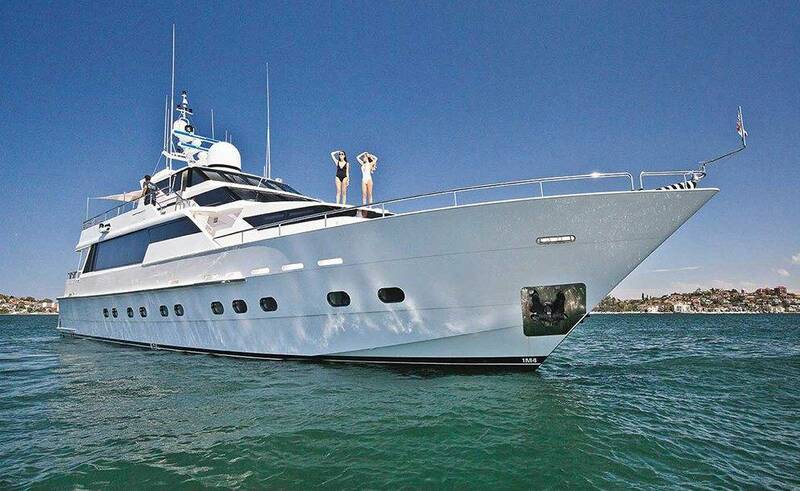 For a cruising experience that truly is second to none, get in touch and ask about Oscar II.